There is a lot going on with this poor country. They have eaten almost $300 billion dollars and when time came to pay back, they are playing a political game. This does not seem right! I am not much familiar with the history or what economic situation Greece accepted loan terms and just kept on taking loan from different countries and interesting is that lender just kept giving loan to Greece. Now the loan amount is huge, it is virtually impossible to pay back. What do you think would have had happened in past? please leave your comments. If we see and gather news from different sources, Greece in in debt from Germany (~$70 billion), France (~$44 billion), Italy (~$39 billion), Spain (~ $25 billion), IMF (~$21 billion), ECB (~ $18 billion), Netherlands (~ 13 billions), US (~ $11 billions), UK (~ $10 billions), Belgium (~ $7.5 billion), Austria (~ $5.9 billion), Finland (~ $3.7 billion). All these countries helped Greece like a good friend and neighbour. 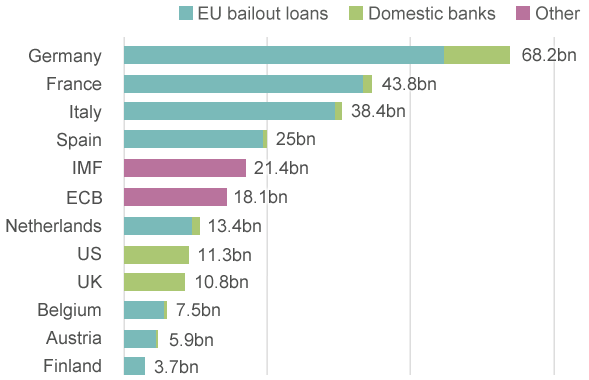 But now it seems that Greece is acting as a bad friend after consuming all that money in past. This does not feel good to me and feels very un-ethical. Is that is that way, no one will trust and will lend money to others in future. 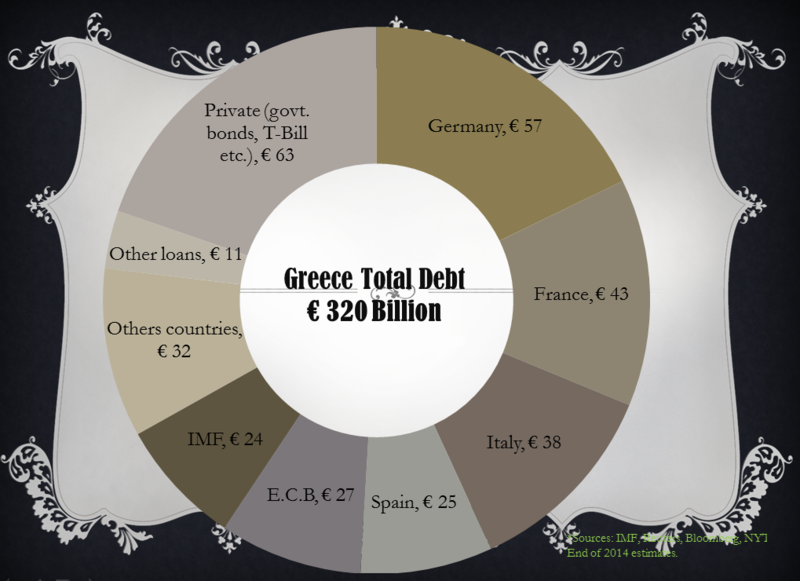 In my opinion, Greece must sell their assets and pay back loan like a good friend. However, in recent events e.g referendum vote to “NO”, indicates that Greece does not want to pay back loan and want to get rid of that. On one hand I laugh on these countries who gave tax payers money to people who just simply enjoyed free money and on the other hand I feel sad how these helping hands gets punished by those who are not worthy of it. What it means that one will have to be very skeptical in any sort of deals with Greece or businesses based in Greece or Greek people in general. Government is noting but as people or society elects and wants it to be. However many good soul suffered due to some arrogant people.